I was hoping to meet team owner Dan Snyder with my brand “look book” to place a possible solution on the table for discussion. Writing letters did not get me to that large conference table so I arrived at the idea of sharing my work. Why not investigate if one of the names I offer can satisfy all stakeholders? Can we arrive at a name that actually honors Native Americans and enables a Native American theme to carry on for this franchise? Owner Dan Snyder is an advertising mogul and since he created his success I hope he can respect my taking a chance on this speculative work. Often in advertising, “pitch work” is done for the opportunity to impress and secure business. I love designing stuff and providing marketing solutions. 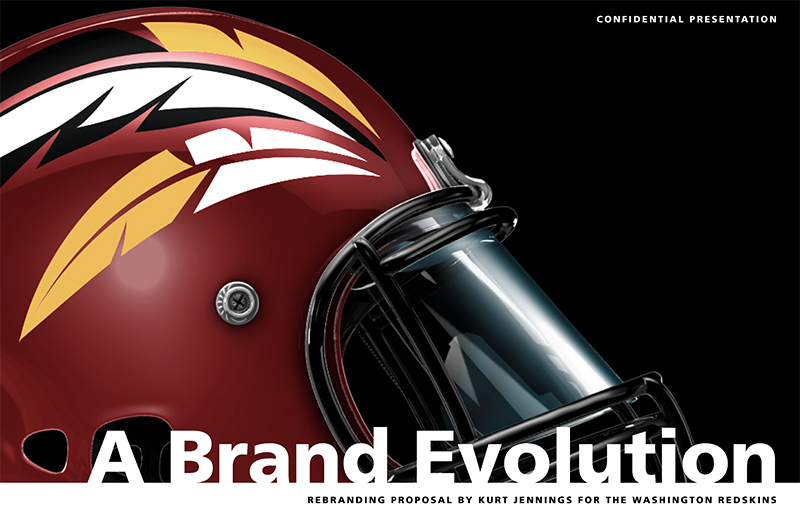 I think of my suggestion as a “Brand Evolution” for my team. Times change. 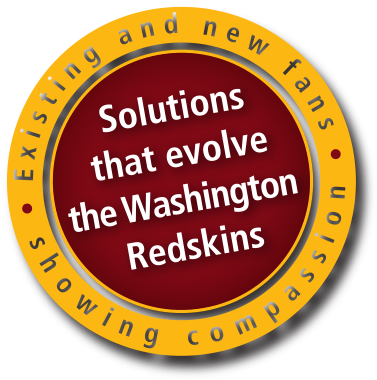 I believe enough people have spoken about being hurt by the Redskins name. I believe a compassionate appeal for change with a participatory approach can yield something positive and truly special. If it is determined that one of the names offered honors Native Americans we could have a win-win situation. Please be sure to vote on the survey and kindly share with others. Previous Previous post: Blog Entry 1. Why?